One happy result of Mitt Romney’s ghastly “47 percent” gaffe—apart from making it even less likely Romney will ever inhabit the Oval Office—is that it’s forced conservatives to finally debate the “lucky duckies” doctrine—first articulated by the Wall Street Journal almost exactly 10 years ago in an editorial titled “The Non-Taxpaying Class”—that we need to raise taxes on poor people lest they become too fond of government. It is, of course, a nonsensical argument, as I’ve stressed since it first arose. For one thing, while it’s true that 46 percent of the U.S. population doesn’t pay income tax—in most (but not all) cases because it lacks sufficient income—these lucky duckies pay plenty in various other impressively regressive taxes at the federal, state, and local level, most notably the payroll tax. Indeed, when you factor in all these taxes, the combined effective tax rate on the top one percent (average income: $1.4 million) is a mere four percentage points higher than the combined effective tax rate on the middle fifth (average income: $42,000), according to the nonprofit Citizens For Tax Justice. Also, the distribution of government benefits, which was never limited to the non-taxpaying poor, has become less progressive over time—the precise opposite of what you’d expect if the lucky duckies bloc was quietly accumulating electoral clout. And that’s before you consider federal subsidies to business. As Timothy Dickinson recently reported in Rolling Stone, Romney himself, scourge of “crony capitalism” though he may be, secured a federal bailout for Bain & Co. when he returned from Bain Capital to “save” that company two decades ago (and promptly started handing out bonuses!). Also, some of those lucky duckies—nearly one percent of those earning in excess of $200,000, for instance, and six of the country’s 400 richest filers (average adjusted gross income: $202.4 million)—are rich. Yet they demonstrate no observable fondness for big government. But just because an argument is nonsensical, that doesn’t mean it won’t gain currency. And over the past decade, I’ve tracked with growing uneasiness the rise of the “lucky duckies” meme fromcrackpot theory to respectable doctrine embraced by House Majority Leader Eric Cantor, vice-presidential candidate Paul Ryan, and now presidential candidate Mitt Romney. That’s why I wrote, yesterday, that “after Clinton ended ‘welfare as we know it’ in 1996 it got harder to scapegoat welfare recipients. So conservatives decided [in abandoning their previous commitment to the Earned Income Tax Credit and other policies meant to reward the “deserving,” working poor], what the hell, there are no deserving poor.” This immediately prompted a thoughtful e-mail from a young conservative who objected to my painting conservatives with such a broad brush. Lots of conservatives don’t believe this garbage, he said, and it turns out he’s right. I mentioned earlier that Ramesh Ponneru of National Review trashed it last year. Others now criticizing Romney’s remarks include the Weekly Standard’s Bill Kristol, Reason’s Matt Welch, the Daily Caller’s Jim Antle, and even National Review’s Jonah Goldberg, who ordinarily displays a weakness for blowhard arguments. Over at the New York Times, David Brooks wants nothing to do with Romney’s remarks, and neither (to judge from his Twitter feed) does Ross Douthat. 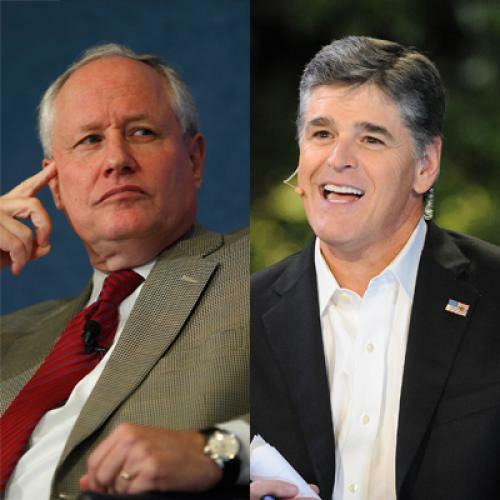 “Conservatives Agree: Romney’s Wrong,” declares Michael Warren on the Weekly Standard’s Web site. That’s taking things a bit far. In fact, plenty of other conservatives are in complete agreement with Romney. Slate’s David Weigel, CBS’s Stephanie Condon, the liberal watchdog group Media Matters, and Buzzfeed’s Rosie Gray have been counting noses. Rush Limbaugh, of course, has long been an outspoken 53-percenter (“47 percent of the population is content to be slovenly, lazy takers”) and so has Fox News’ Sean Hannity. National Review’s Michael Walsh is calling this Romney’s “Gettysburg moment.” The somewhat classier John O’Sullivan, also of National Review, is similarly calling Mitt a misunderstood truth-teller. So are Rep. Allen West, R.-Fla.; Red State founder Erick Erickson; Dean Clancy of FreedomWorks; and Todd Starnes and Laura Ingraham of Fox News. The Wall Street Journal editorial page, which created this Frankenstein monster, is lying low for the moment, but will surely end up defending Romney’s remarks (perhaps echoing Romney’s lame excuse that they were “inelegantly stated”). Brooks makes a useful distinction when he writes that “Romney’s comment is a country-club fantasy. It’s what self-satisfied millionaires say to each other.” Romney’s remarks have opened up a rift between the Republican party’s country-club fatheads (he was speaking, after all, to $50,000-a-plate gathering at the $4.5 million Boca Raton home of a fellow private-equity tycoon—one who’s reportedly quite the party animal, but let’s set aside what Romney’s evangelical constituency will make of that) and the GOP’s pundit class. As the foregoing examples demonstrate, the membrane dividing these two groups is somewhat porous, and we must remember that it was the conservative intelligentsia that invented the lucky-ducky meme to begin with. A further complication is that some of those who decry Romney’s remarks support Paul Ryan when he makes the same case within the larger framework of his error-laden “tipping point” argument. (“Reform-minded conservatives argue that without making important changes to the welfare state, this is exactly the sort of future to which the United States is bound,” concludes the Weekly Standard’s Warren after assuring us that conservatives want nothing to do with Romney’s bêtise.) Yet another complication is that it’s the Republican fatheads who fund the think tanks that employ most of the Republican pundits. That helps explain why conservative pundits’ worldview tends to coarsen over time. Still, a healthy argument has begun, one I’d despaired of ever seeing fought out in the open. It is perhaps too much to hope that we’ll never hear this nonsense about lucky duckies ever again. But perhaps those occupying, or seeking, elective office will henceforth think twice before they spout it.